Truly inspired music springs out of the heart or the soul. It is the language of the soul and it communicates itself directly with the heart and soul of the listeners irrespective of the words or the language it is expressed in. Its appeal is universal. Music even in alien words and sounds casts its spell. The secret of its appeal probably lies in the tune, tone, pitch, notes, melody, diction, rhyme and rhythm which constitute the soul or the heart of the music and make the language almost redundant. Understandable vocal music has its own charm, but these elements of music are an independent entity and can make their impact irrespective of the words. This probably is the reason why we love to hear the instrumental music of any country or culture. We beat our steps with its rhythm, or, are so carried away that we tend to dance in abandon with sheer joy of its rhyme and rhythm. Words, by their very nature, are inadequate expression of the true human feelings and emotions. A wordless language of instrumental music evokes the feelings and emotions which are too deep for words and gives us wings to fly in unknown regions of joy and bliss. It harmonizes with our pent up wordless feelings and provides them an outlet. A truly inspiring music is almost a substitute for meditation. Like meditation it transports you to another world. The only difference is that while you have to make conscious effort to arrive at a state of meditation, the inspirational music just carries you off on its wings. It focuses your diffused thoughts at one point which is its central theme. In case the theme of the vocal music coincides with that of your meditation, you are doubly blessed. To illustrate the point, if you are a Buddhist meditating on the lines of Buddhism, your process of meditation speeds up if the accompanying vocal music also has a Buddhist theme. Sometimes the content of the accompanying music itself generates and catalyses the process of meditation and makes it effortless. 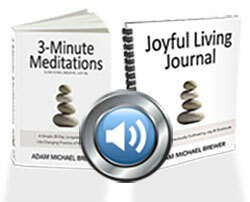 It has been quite often seen that the very sound of the meditation music triggers meditation. It has something Pavlovian about it. In course of time you begin to mentally associate with the music. It becomes like the ringing of bells in the church or the temple. Meditation music is composed around many themes. You do not have to sit down in a certain posture at a specific time to meditate. You can meditate even while walking on a footpath in a crowded market place, cycling or traveling in a bus or a plane. Your iPod contains the music and its headphone is plugged into your ears. It prevents your mind from wandering aimlessly, but keeps reminding you that you are, for example, a quiet and calm soul performing your duty in this world while your mind is connected with the supreme soul. Your hands are at work while your mind is connected with your God. If you are a non-believer, the music invokes you to remain calm and detached and yet blissful even in tense circumstances. You walk around the fish market and yet remain immune to the chaotic and noisy crowds. 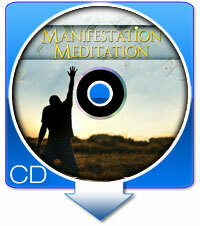 Various themes that the meditation music is composed of build similar states of mind. Meditation music can promote constant awareness and alertness with detachment which may culminate in keeping you aware, alert and clam even when your soul leaves your body. You watch it leaving and still remain calm even blissful. Ancient Indian classical music was famed to be so powerful that it could influence the elements of nature. Raaga Malhaar could create clouds and bring rain. It can create moods and influence them. We have martial music in defense forces. Music for meditation is really useful for people because it serves as an aid to obtain a state of mind highly needed to achieve inner peace. Music can come in different forms. Here's some tips to help you find music for your meditation. The word ‘Bhagwad Geeta’, the divine sermon delivered by Lord Krishna, translated into English stands for God’s Songs which by extension means that music is the language of God. If the aim of meditation is to enable the soul to rise and fly across the skies to realize God, then meditation music provides wings to the soul for the flight. One can experience comfort through listening in music. There are many psychological benefits one may obtain by listening to peaceful music. Along with this, one can attempt to please him/herself in meditating by adding a twist of music in the background. Music provides powerful energy that can enhance the experience of one’s body especially in meditation.